On Tuesday night my friends Dan, Nathan, and Dyan and I shared an excellent tasting (via Skype) with James and the rest of the guys for an episode of Basic Brewing Radio. 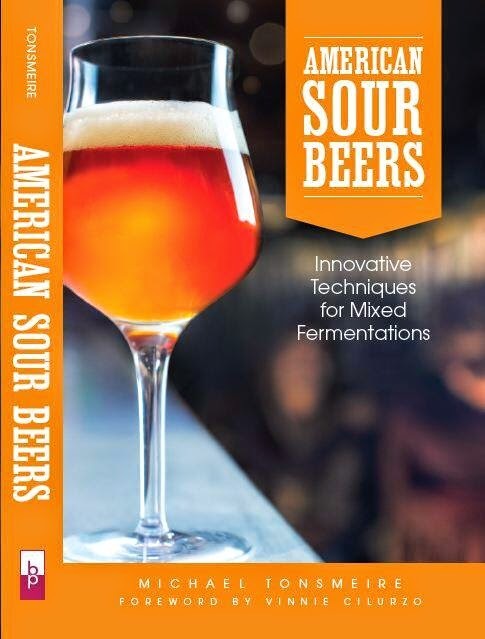 The idea of the episode was to try blending different beers together to come up with some unique flavors and as a way to mitigate some flaws in some of the batches. This is not only a great way to play with your beer but also a good way to give your pallet a workout. Alderwood Smoked Porter - A robust porter with 25% of the malt smoked over alderwood. Wee Heavy - A group parti-gyle aged on cognac soaked oak cubes, vinous and sweet. Funky Old Ale - An English Old Ale aged with wine soaked oak cubes and Brett C that ended up too dry. Blackberry Flanders Red - My first attempt at a Flanders Red aged on 2 lbs of Blackberries per gallon. Flanders Pale Ale - A blend of 2 year old Lambic and 1 year old soured Belgian pale. Smoked Sour Porter - A porter James brewed with 1 lb of hickory smoked malt, aged for a year with Wyeast Roeselare Blend. 1. Equal parts Wee Heavy, Funky Old Ale, and Berliner Weiss. This blend was somewhere between a Gale's Prize Old Ale and a Goudenband. The Wee Heavy added some sweetness that the Funky Old Ale lacked, and the Berliner Weiss added some complimentary sourness and lowered the alcohol. 2. Temptation Clone and Berliner Weiss. This was a good blend because the Temptation Clone never became as sour as I was hoping, the Berliner Weiss added the sourness without imparting too much of its own character. 3. 3 parts Alderwood Smoked Porter and 1 part Scandinavian Imperial Porter. The Imperial Porter added more richness and complexity to the smoked porter without walking all over the delicate smoked character. While I realize that none of you will have these exact beers (or even all these styles on hand), I still hope you give blending a try. Get a couple friends together and have everyone bring a couple bottles of homebrew or commercial beer and start sampling and discussing. Just remember to take notes so you remember what worked, and what didn't. I would also suggest trying to get a real range of beers, mixing a few beers of the same style together will probably not make anything too interesting. We capped off the night with a bottle of Firestone Walker 10, a beer that is a blend of several different beers itself. It was amazingly complex, with some hints of oxidation setting in (the good kind, leather and dark fruit), but still a bit boozy from all the liquor barrel aging. It was a great way to finish off the tasting, thanks to James for sending it.